The Young Money team is one of the most iconic groups to form in the hip-hop world in their time. The collective included Lil Wayne, Nicki Minaj, Drake, Tyga, and others. As a whole, they were nearly unstoppable and as solo artists, they've all reached impeccable heights. When it comes to Weezy and Minaj, the two have been at the top of their games for years. Drake is now the most popular artist in the world. And Tyga? Tyga experienced a major comeback in 2018. 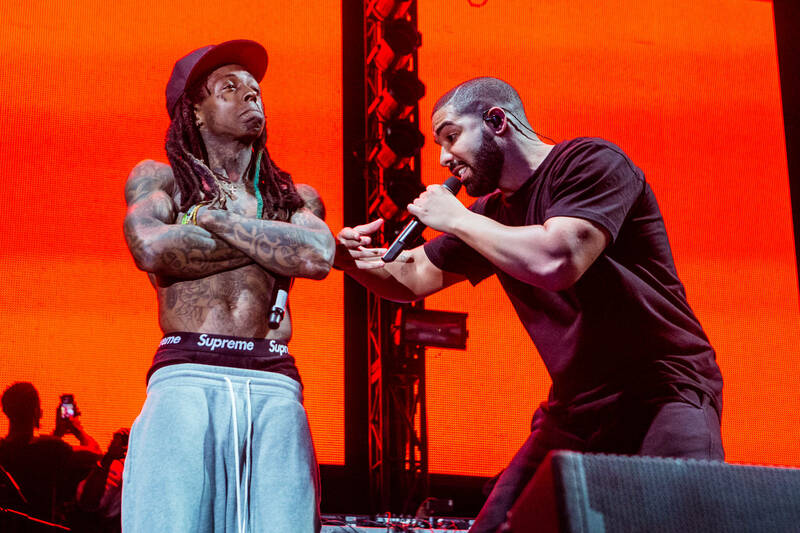 Tunechi is obviously loyal to his team, which he proved again by gifting the 6 God with a brand new custom-made chain. Wayne went to Eliantte, jeweler to the stars, to commission a brand new piece for his buddy Drake. The charm is quite simple actually, featuring an iced-out "6" to represent the artist's hometown. There have been mixed reactions in the jeweler's Instagram comments with some believing the piece looks rushed. Others think he did a great job. Despite the end result, it's the thought that counts, right? As many of Eliantte's pieces are, this pendant is wet with tons of crystal-clear diamonds that will have Drake shining in the light and the dark. What do you think of the new chain?